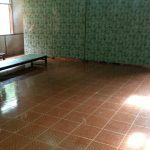 Now the dining area of the kindergarten is in an easy-to-maintain state. 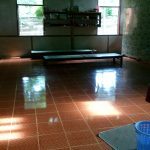 Fresh tiled and easier to clean than the rough cement floor or even the green felt carpet. 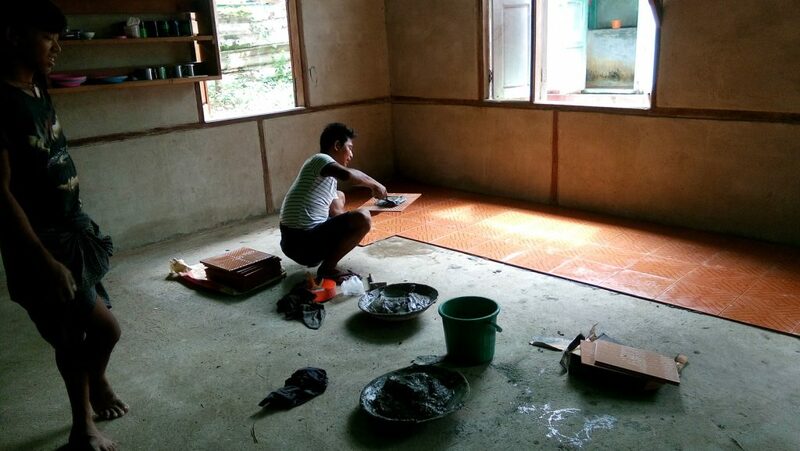 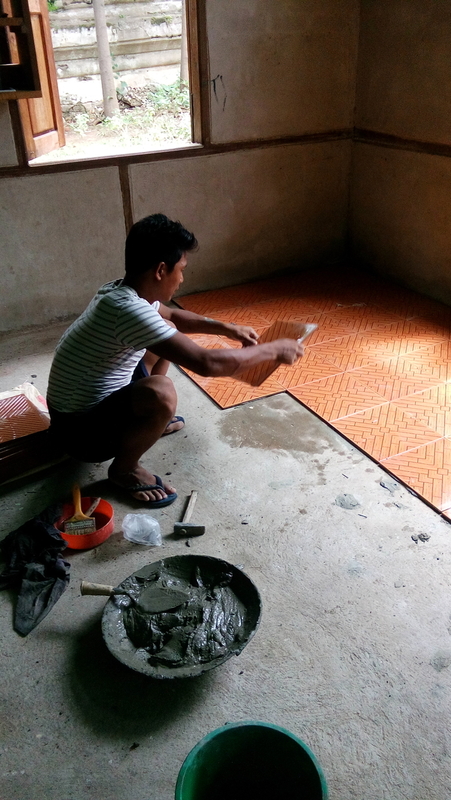 In recent weeks Kyaw Kyaw has bought the tiles in Sagaing, organized the tiling by a local artisan and also purchased the industrial vacuum cleaner. 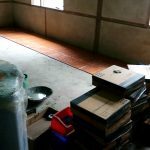 So to do the weekly “Cleaning campaign” is easier and more efficient.